If you’re looking for convenient self-storage services in Palo Alto at an affordable price, look no further than Independence Storage. Students, homeowners, and business owners in Palo Alto choose Independence Storage for all of their self-storage needs. What separates Independence Storage from other facilities in the area? For starters, Independence Storage offers many different sized units and customizable billing options for your convenience. You will also appreciate the fact that Independence Storage will give you a prorated refund if you decide to move out before the end of the month. As far as the facility itself, 10-foot high ceilings make it easier for you to fit more items into your storage unit. Electronic keypad access maximizes security and gives you peace of mind that your belongings are safe. Independence Storage offers convenient access seven days a week from 7am to 7pm every day of the year. If you’re constantly looking for ways to make your life easier and more convenient, do yourself a favor and rent a self-storage unit near Palo Alto . A storage unit is a great alternative to parting with extra belongings or using valuable home space for storage. When organized and packed appropriately, a self-storage unit is also an easily accessible space that you can use as often as you need to—and not just once or twice a year to dig something out of a stack of boxes. Here are a few tips to help you make the most of your storage unit. Although you shouldn’t have to pay for storage you don’t need, a little extra space can make it much easier to move around within the unit. And should your storage needs change in the future, having extra storage space will allow you to store a few extra items without having to move everything into a new unit or purchase a second storage unit. A storage facility manager near Palo Alto can help you determine how much space you need. Even if you organize your belongings and pack your unit as efficiently as possible, your efforts won’t matter much if you use poor packing materials. 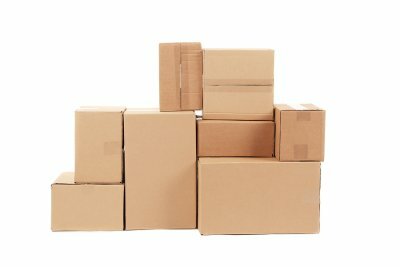 Moving boxes should be sturdy enough to hold up for years in storage under the weight of the stack. Speaking of the stack, you will be able to arrange and organize your boxes much easier if you have standard-sized boxes as opposed to mismatched shapes and sizes (which is usually the case when you get boxes for free from supermarkets and department stores). If you really want to get serious about self-storage, keep an inventory of everything inside your unit and a map of where each box or item is located. Not only will this help you quickly locate a belonging after months or years in storage, but a map and inventory will also help friends and family members find something should they be asked to retrieve an item from storage. If you care about the security of your belongings, it’s important that you find the best storage facility in Palo Alto. What separates the great storage facilities from the rest? One thing you should look for is on-site managers who make sure your belongings are safe well after the gates close. Speaking of security, look for a storage facility that offers electronic keypad access. And because your storage needs can change suddenly, look for a facility that doesn’t require a minimum stay or penalize you for early move-outs. Watch this short video clip for more things to look for in a storage facility. You can find everything you’re looking for in a great storage facility at Independence Storage of Mountain View. Independence Storage has nearly two decades of experience offering secure, ground-level units for individuals in Palo Alto and the surrounding areas. There is no minimum stay at Independence Storage, and customized billing and payment options are available to meet your needs.